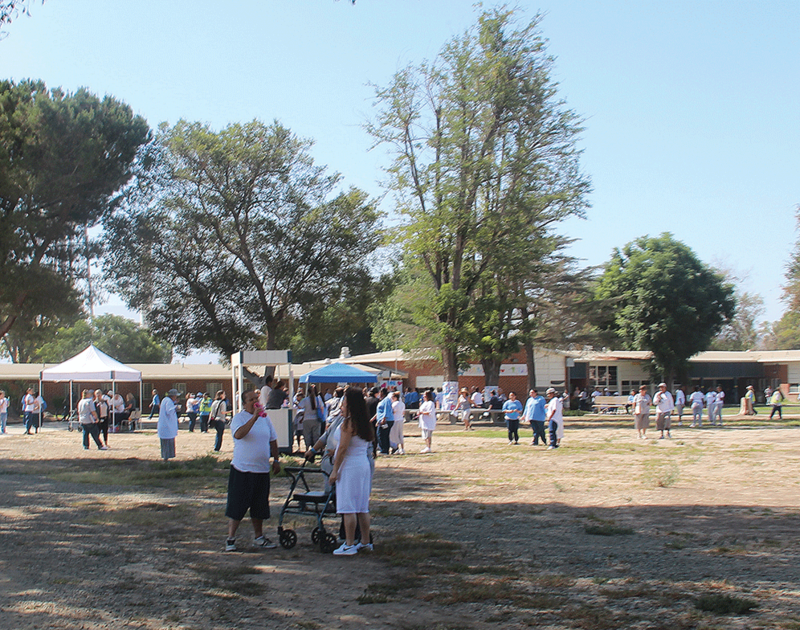 Women prisoners at the California Institution for Women (CIW) were given the knowledge to promote awareness at its second annual Suicide Prevention Week. The September event started with the inmate Suicide Prevention Outreach Committee members distributing posters and passing out program pamphlets to inform the incarcerated women of the upcoming week’s events, according to the prison’s press release. “The inmates played games, spoke with community religious organizations, [and] received information on warning signs,” said Rosie Thomas, Public Information Officer for the prison, in an email to San Quentin News. The week event raised $2,296 to be donated to the American Foundation for Suicide Prevention. The women raised the money by having the chance to dunk a city official and staff members into a water tank. Councilman Gary George of Chino City and Associate Director Amy Miller attended the event’s opening ceremony. California’s state Senator Connie Levy was also a guest speaker for the day, which was a Monday. The following day, which was September 11, CIW’s staff and the incarcerated women Honor Guards worked together to honor those who had fallen during 9/11. The day after, Miller kicked off the event by being the first to be dunked in the dunk tank. This was followed by many correctional staff of all ranks joining in on the fun, said Thomas. Women prisoners who are a part of the Prison Authority Industry Construction program help transformed different areas of the prison by creating Suicide Prevention Outreach Committee sitting areas. From 2014 to 2015, there were four suicides and at least 20 suicide attempts at the prison, according to The Guardian. CIW had eight times the national rate for female inmate’s suicides and more than five times the rate for all of California’s prisons for those years, according to the article. This sparked many protests from family members who had a love one died in the prison custody. San Quentin held its own Mental Wellness Week that started Sept. 9 where the theme was “Hope,” which outside volunteers wore black T-shirts with the suicide prevention ribbon design as a symbol of hope. As suicides are still an issue in California’s prisons, some institutions are taking the steps to keep their populations informed. CIW’s Senior Psychologist Specialist M. DuMont led the Suicide Prevention Outreach Committee and planned the week’s activities that brought awareness to the seriousness of suicide prevention to the incarcerated women, according to the press release. “By the end of the week, staff and inmates all agreed working together to create awareness in the CIW community was a success,” said Thomas in the email. • Shaylene Graves 27, She died six weeks away from her release. • Before Shaylene, Erika Rocha committed suicide. • Erika was 35 years old and had been incarcerated for 21 years. She was one day away from her Youth Parole Hearing.